All other performances click here. 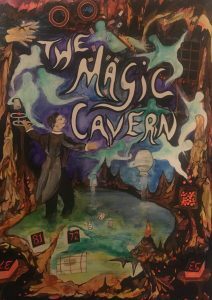 As an artist Richard paints with themes of the below production titles. All promotion for all shows are hand painted pieces of work. All scenic cloths, set and props are canvasses for Richards intricate art. 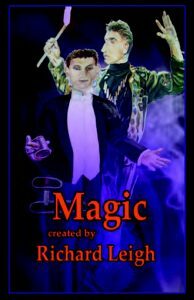 Magic shows created and presented by Richard include: ‘The Magic Cavern’, ‘Cave 13 – The Superstitious Magic Show’, ‘The Fun Fair at The Magic Theatre’, ‘The Side Shows of Wonder’, ‘The Woodland of Wonder’, ‘The Magic Symphony’, ‘The Cave Monster’, ‘The Magical Scrap Yard’, ‘Run Away with the Circus’, ‘The Twilight Ballrooms’ featuring ‘Malcolm Marvelle – Master of Mystery and the Lovely Rita’ and ‘The Spooky Magic Theatre’.